Our 2hr Trip is our most popular! 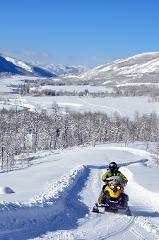 You get it all: Wide open valleys, Huge play areas, Groomed Mountain Trails and amazing Views! Cruise up the beautiful river valley on wide, smooth trails. Cross over the river to play in the open valley play areas! Climb up into the backcountry through the woods on groomed mountain trails. 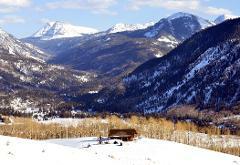 Enjoy the panoramic views from our high mountain Lookout Cabin at 9,000ft. Open it up on the way back to the lodge via a looped trail. 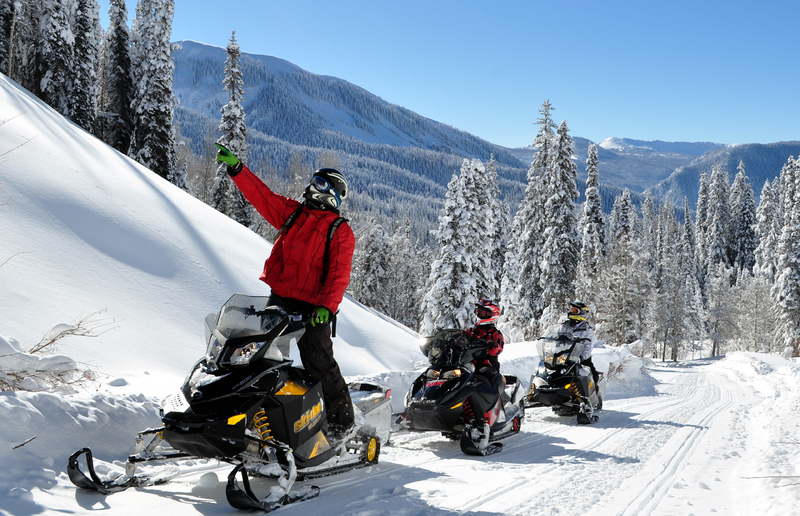 Trip includes: all gas and oil, Helmet, Guide and a new SkiDoo Snowmobile. Extras: Snow gear (boots, suits, gloves) for $5 each. Collision wiaver $20 per snowmobile.